The May issue of GPS World carries these three expert opinions on the question: How are autonomous vehicles and V2V technologies driving innovation within the GNSS industry? We still have technical and cost versus performance challenges to meet the PNT needs of V2V and AV. Positioning and even timing expectations in deep urban areas are still not met reliably. As a result, ad hoc methods such as HD map-based nav — methods that work but are not scalable — have emerged. Innovations to deal with multipath, signal visibility and geometry are critical. Solutions that enable real-time mapping will be essential for scalable AV deployment. 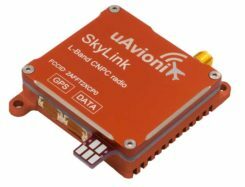 Four key areas the commercial GNSS industry is pursuing include: low-cost, high-volume dual-frequency chipsets; broadly available PPP and network RTK corrections delivered either through mobile IP or satellite; precise maps for highways, urban centers and trunk roads that achieve 10-cm localization relative to WGS-84; and improved integrity monitoring and fault detection. The National Highway Transportation and Safety Administration also released a proposed rule-making with tight standards for GNSS performance: 1.5 meters, 1-sigma confidence. 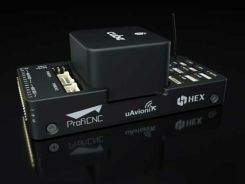 Unlike traditional GNSS applications, automotive positioning requires high-precision accuracy at extremely low cost and size. Most importantly, this performance must be achieved with high reliability while operating in the toughest environments. Solving this positioning challenge is driving innovation in the system engineering of multi-frequency receivers and antennas along with extending performance through sensor fusion with lower cost devices. Additionally, there is significant work in the area of safety and integrity for land-based applications. The U.S. Department of Transportation (USDOT) released a Notice of Proposed Rulemaking (NPRM) in December 2016 for the deployment of Dedicated Short Range Communications (DSRC)-based vehicle-to-vehicle (V2V) safety applications as part of the connected vehicles (CV) and automated vehicles (AV) initiative. If all goes well, this mean a V2V deployment mandate for new passenger vehicles likely starting in 2021 and reaching all new vehicles within 2–3 years. Standards required for V2V deployment were published in 2016 or before, including the V2V Minimum Performance Requirements SAE 2945/1, leading the way for commercial product development. The USDOT, which has been the catalyst behind V2V industry R&D starting from the automaker collaboration CAMP (Crash Avoidance Metrix Partnership) in 2001, is conducting CV Pilot programs in New York, Wyoming and Florida. These offer the opportunity for state DOTs, vendors and all other stakeholders to test the technology in real-life scenarios. Automotive OEMs have been developing this technology for more than a decade, and the NPRM is the beginning of a race toward integrating V2V to production vehicles. Deploying V2V technology requires the close cooperation of OEMs, their suppliers and many other stakeholders. This article captures the views of major players in the CV marketplace on expected deployment timelines, remaining challenges such as reliable positioning technology, integration with existing systems, and the implications on AV technology.